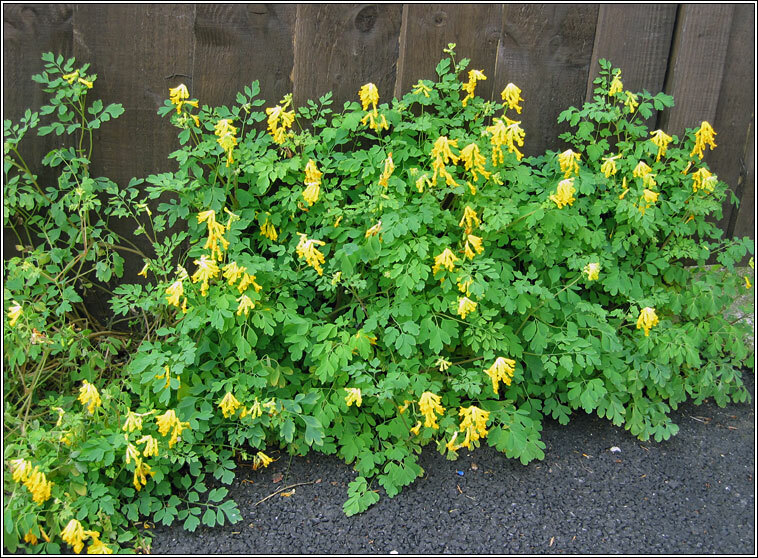 Habitat: Can be very common in England and Wales on walls, waste ground and in pavement cracks. Introduced. 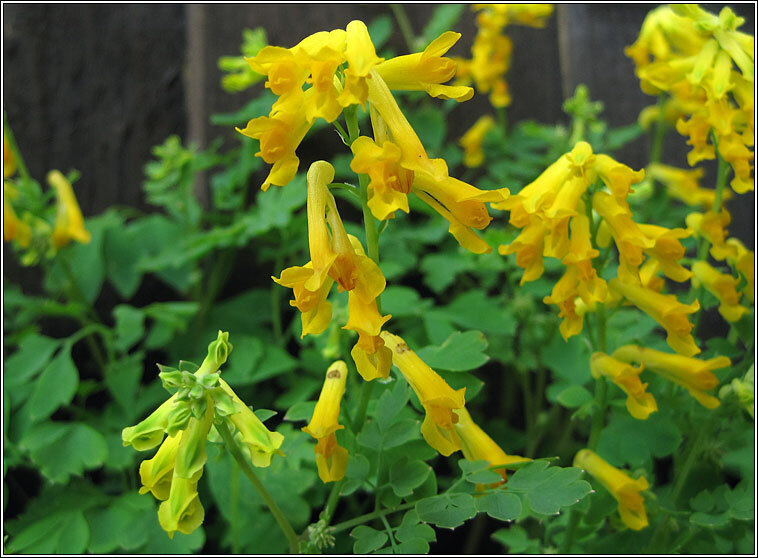 The bright yellow flowers are 12-18mm long. Strong-growing plant, the leaves and stems without tendrils. 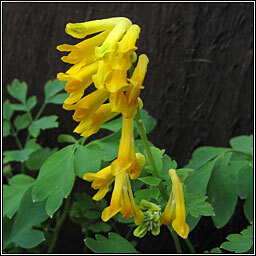 Similar: Climbing Corydalis, Ceratocapnos claviculata. Creamy flowers, leaves with tendrils.